Pocketburgers.com: Artist Melts 1,527 Guns to Make Shovels for Tree Planting! 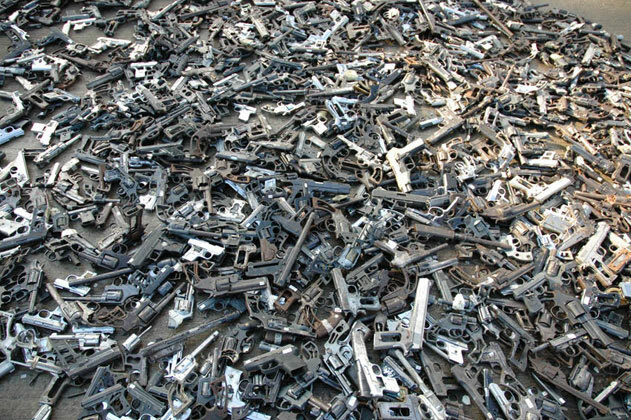 Artist Melts 1,527 Guns to Make Shovels for Tree Planting! The city of Culiacán, in western Mexico has the highest rate of gun deaths in the country. After speaking with family members of victims of drug crimes in the city, artist Pedro Reyes decided to use its prolific amount of firearms to help the local botanical garden. In the ultimate act of recycling, Reyes and the garden started a campaign for residents to hand over their guns to the artist in exchange for a coupon that they could use to buy electronics or household appliances. He collected 1,527 guns for the project — Palas por Pistolas — had them melted down and transformed into 1,527 shovel heads that are now being used to plant trees in the community. 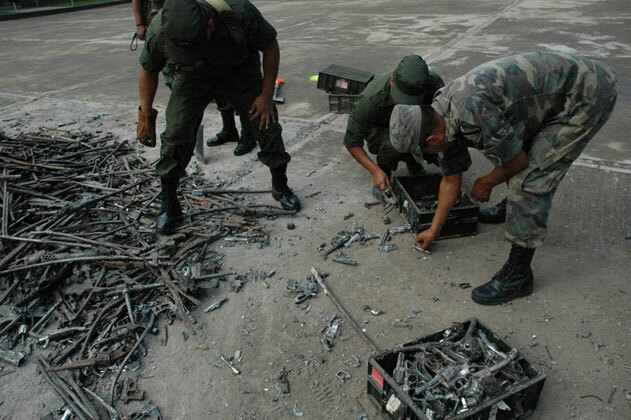 Of the weapons that Reyes collected 40% of them were automatics of military caliber. After the collection the guns were taken to a military base and publicly smashed with a steamroller. They were then melted, recycled into shovels with wooden handles that tell the story of the project and distributed to art institutions and public schools where people in the community are planting — at least — 1,527 trees. In addition to the trees planted in the Cualiacán community these shovels have made their way to the Vancouver Art Gallery, the San Francisco Art Institute, Maison Rouge in Paris and other places around the world to plant Palas por Pistolas trees.